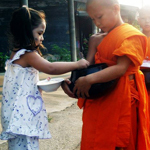 The begging bowl is one of the primary symbols of the chosen life of the Buddhist monk. 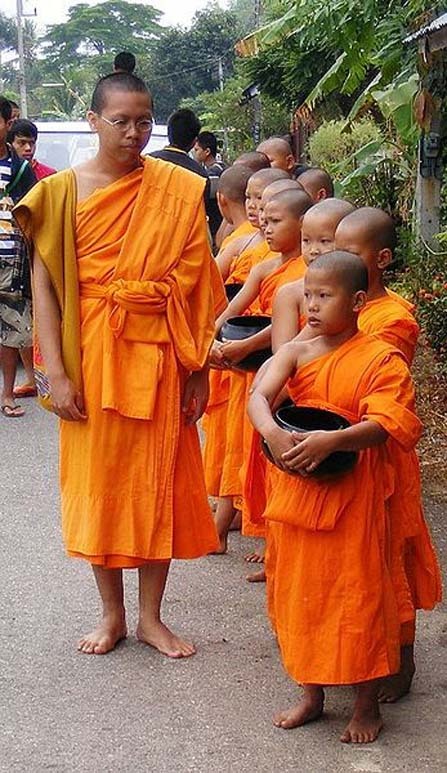 Every monk who has been initiated into Buddhist practice carries with him a begging bowl on his journey through life. 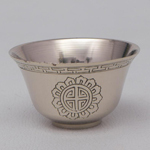 It signifies the surrender of worrying about worldly living and also of concern for tomorrow. 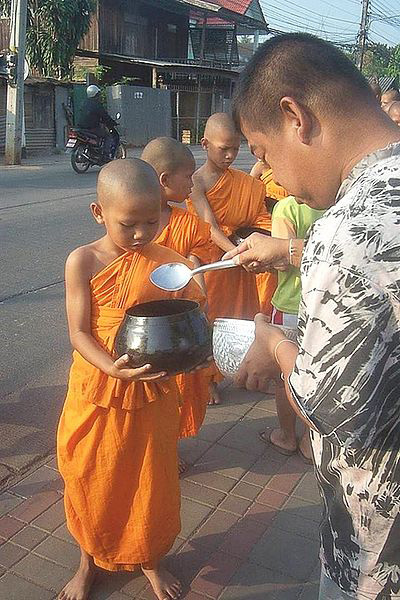 The Buddhist monk moves through the highways and byways of life with nothing but his begging bowl and his staff - and his beliefs. 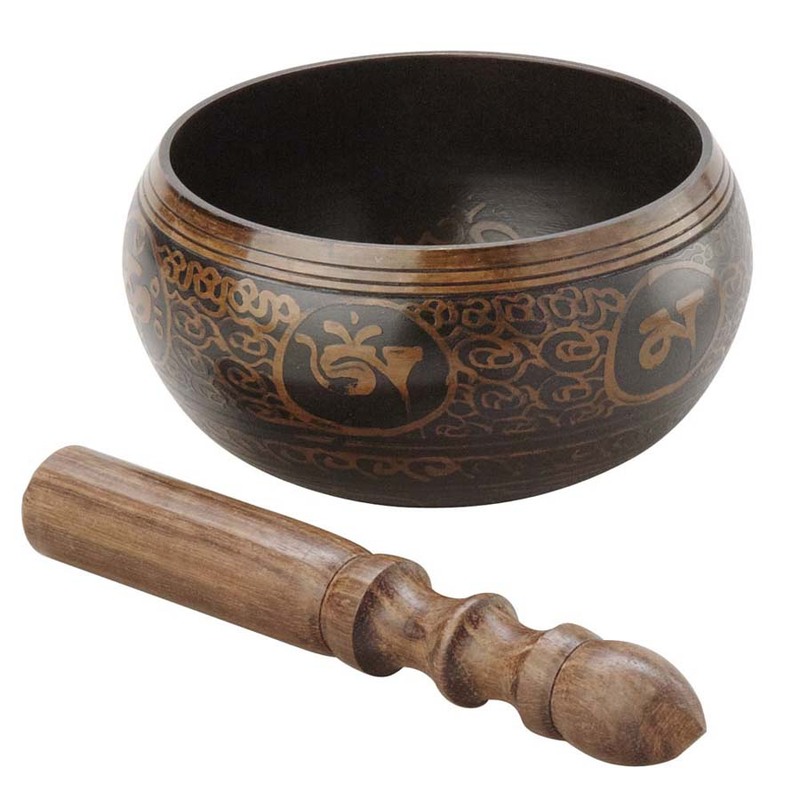 Whatever is put in the bowl in the way of food or money are considered gifts from the universe. Though the bowl may seem to represent dependence on others for nourishment, the greater symbolism lies in the Buddhist teaching of non-attachment, impermanence and emptiness. 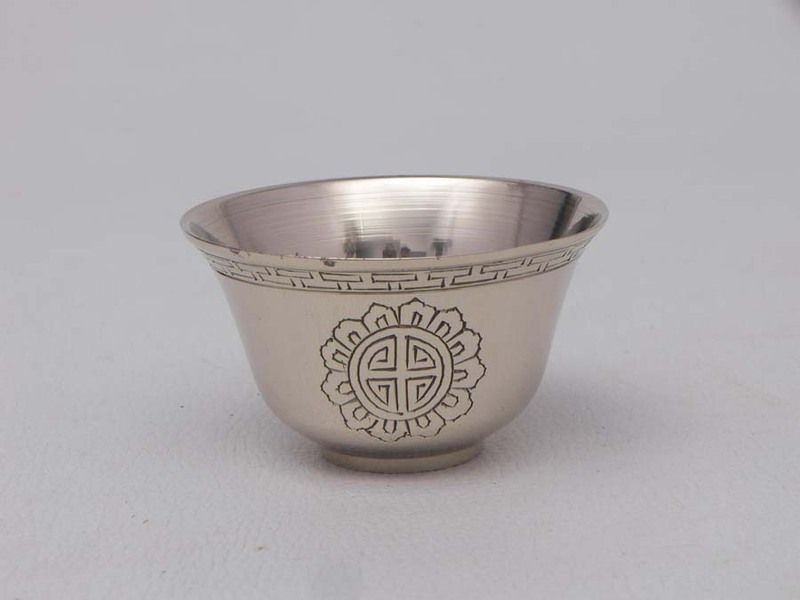 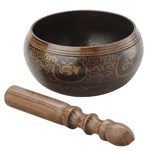 The bowl is perhaps the ultimate symbol of submission and selflessness. 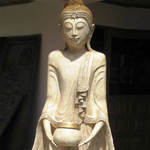 There is a Buddhist legend that tells of the young aesthete who, after a long period of austerities, had reached a point of great physical weakness. 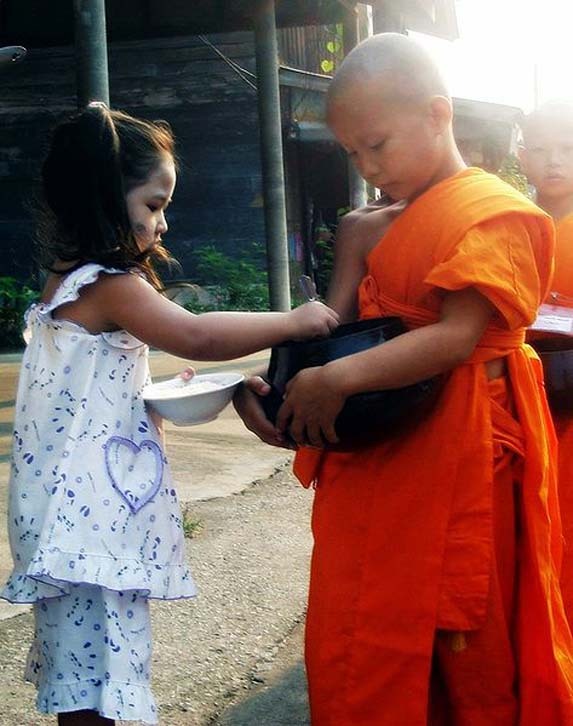 A young woman offered him a bowl of rice, which he took. 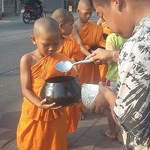 Eating only what he needed, he discarded the bowl, and was able to continue on is way. 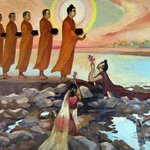 The young aesthete was Gautama the Buddha, who by accepting the offering of food survived his austerities and achieved enlightenment. 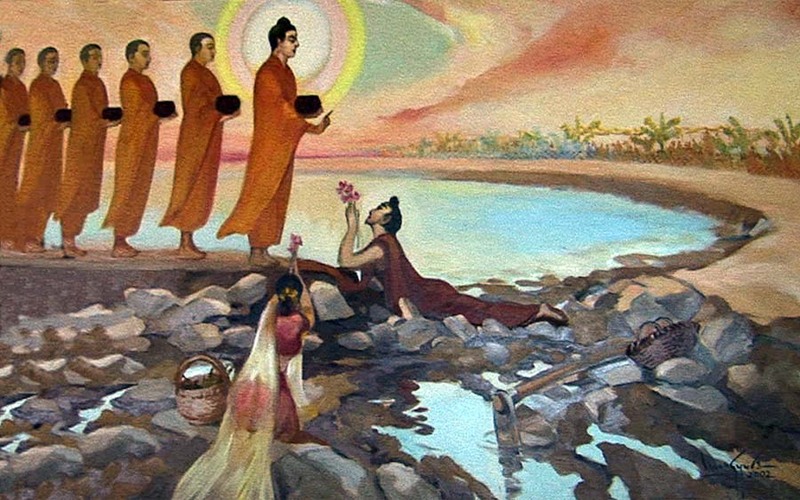 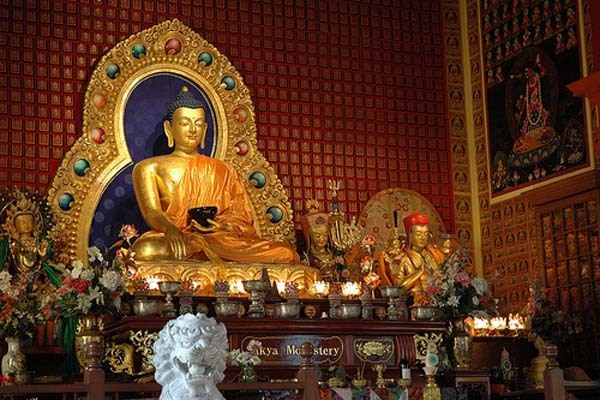 The lesson in this story points out the wisdom of the Middle Way and all those practitioners of Buddha's teachings are encouraged to walk this path, which avoids extremes. 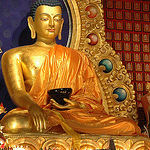 In this case, the extreme austerities at one end and extreme attachment at the other. 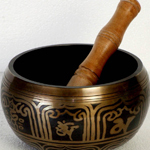 Below you will find a gallery of inspirational images that will help you in your quest of creating the perfect Begging Bowl tattoo.